Just purchased a new GTI from Executive VW. Paul and Garret did a great job of making sure everything went smooth. If your in the market for a new VW head directly to executive VW. Choosing Executive Volkswagen to purchase my first car was the best decision I could have made. When I walked in the door I was immediately greeted by Bill a very professional and friendly salesman. Bill was very down to earth, compassionate and had my best of interest in my purchasing a car that was both reliable and suited my lifestyle. He was very patient and took his time with me answering any questions I had about the Tiguans. He did not rush the process at all with me and he made buying my first car very fun and completely stress free. He was especially patient with my five year old daughter and allowed her to explore the Tiguans and be a part of the process with me. Bill was an amazing salesman and really wanted me to find a car that I fell in love with and that I felt completely comfortable with and that is exactly what he accomplished. It was very clear that he took his profession seriously and wanted me to be 100% satisfied with my purchase. I would hands down recommend Bill as a salesman to anyone looking for their new car. Garret the finance manager and Scott the manager were also wonderful to work with and made the process very simple and stress free. I am so happy with my purchase of my Tiguan and that I chose to purchase my first car from Bill at Executive Volkswagen! Looking for a new car can be a long and stressful process but this dealership made it quite the opposite. Upon arrival we were quickly greeted by Billy who was very knowledgable and friendly. He was able to answer all of my questions about differences between the models of WV Tiguans I was looking at. Unlike other dealerships I have visited, I did not feel pressured into anything. Instead, I felt as though Billy really cared about what I wanted and tried to accommodate all of the things on my wish list. After finding the perfect car, Garett worked with the finance portion of our purchase and was very friendly, quick and efficient as well - he even helped us get a great deal on out insurance for our vehicle. Within three hours I found the perfect car with an amazing sales person, got the vehicle registered and was able to go home with the car that day which was only possible because the Billy and Garret stayed after hours to complete this process. After working in customer service myself, It is very clear when employees are really there to make the customer happy and do everything in their power to do so. Executive Volkswagen of North Haven is a prime examples of this. I would highly recommend this location because of the wide variety of vehicles they have on the lot and the amazing staff, especially Billy! By far the simplest and easiest car purchase I have ever made. Garrett and Will made it super easy for my wife and I to get a great price on a GTI and get in and out of the dealership. Thank you so much! 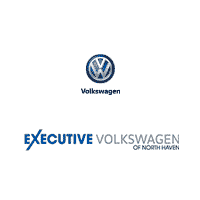 I had a great experience with Executive Volkswagen from start to finish. Everyone I encountered was friendly and helpful and made sure I felt taken care of. Will did a wonderful job introducing me to my Mazda CX-5 - I never felt like I was being sold a car, but rather he answered all of my questions and concerns genuinely and I felt heard and comfortable. I had all the information in front of me with no hidden info or fees when I made my decision to buy. Very confident and stress-free shopping and buying experience. Even the day of pick up went smoothly and finance and registration paperwork were a total breeze. Amazing. I love my new car. Thank you!! I recently bought a used Eos from Executive VW. Scott was patient answering all my questions through email. Once I arrived at Executive my salesman Chris was a joy to work with. He was very patient and kind! The whole buying process was made super easy. I love my new car! Can’t wait to put the top down! Thank you! Exceptional service from the Salesman David to the Finance Manager Garrett..Top notch team from the test drive to delivery.